The Robins hold on to pick up a home draw against the Welsh Premier League champions, The New Saints at Latham Park in the JD Welsh Premier League. It ended one a piece with Newtown’s Ethan Jones opening the scoring after ten minutes. TNS’s Greg Draper equalised with a second half penalty to end the match at 1-1. In the last couple of minutes of Saturday’s match, TNS were down to 10 men after Jon Routledge was given a second yellow card after booting the ball away when Newtown were awarded a free kick. The opening minutes saw the visitors look on top with their controlled possession when slowly making their first attack towards Newtown’s goal. There were a couple of glimpses of TNS’s Greg Draper finding space in the danger area catching the Robins defence off guard. Possession was on Saints’ side but the only real stat that really matters is goals and the Robins opened the scoring on the 10th minute mark thanks to Ethan Jones. Jones went solo into the Saints’ penalty area with a cool and collective approach to slot home the opener and to seal his first goal of the season. It wasn’t long until the visitors made a response to going a goal down. A long range shot going wide from Jon Routledge on the 13th minute started TNS’s real attack. Newtown had golden opportunities in the first 45 starting with Callum Roberts’ dangerous delivery into the box was mis-kicked by Jones who could have had his second of the game. Another chance to double the lead struck 60 seconds later after a long throw in from Alex Fletcher had Luke Boundford miss from close range. Draper was yet again causing problems especially half an hour in when the New Zealander struck his low shot straight at Dave Jones but the reds goalkeeper made sure the Kiwi did not score from the rebound. 5 minutes before the interval saw Newtown’s corner from Fletcher converted from Ben Bailey with his header going just wide past the far post. Newtown went into the changing room at half time 1-0 up. The second half hosted a determined Saints team who were eager to find an equaliser. 12 minutes after the halftime break, Kurtis Byrne produced a fast paced cross that scattered all over the Newtown box before Jones picked up the loose ball. After the hour mark TNS attacked again with Ryan Brobbel delivering a perfect cross to Draper who headed the ball straight to the hands of Jones. Newtown spent most of the second half on the back foot but their determination to avoid defeat was first class. But their Jones’ clean sheet would fly away for the day after Kieran Mills-Evans took down Draper to give away a penalty which was then scored by the New Zealander after 75 minutes. It could have been a penalty on the other side of the pitch for the Robins when Roberts was taken down in the TNS box but the referee refused and instead gave a goal kick to the visitors. One point for both teams in the JD Welsh Premier League now puts Newtown in 4th after starting the day in 5th place. 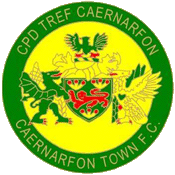 Our next match in the division is away to Cefn Druids on Friday November 2nd (KO 19:45) but firstly will be Tuesday’s League Cup trip to Cambrian & Clydach (KO 19:45). The Robins: D.Jones (GK), Kenton, Roberts,Mills-Evans, Bailey,Denny,Fletcher, Mitchell, Boundford, E.Jones,Rushton. Subs: Phillips, Perry, Goodwin, Leslie,W.Evans, Cook. The New Saints: P. Harrison (GK), S. Spender, C. Marriott, B. Cabango, J. Nembhard, T. Holland, J. Routledge, R. Brobbel, D. Redmond, K. Byrne, G. Draper. Subs: C. Roberts (GK), D. Ebbe, A. Edwards, K. Lewis, C. Seargeant, B. Clark, J. Hmani.